A great winter veg, the parsnip is a close relative of the carrot. 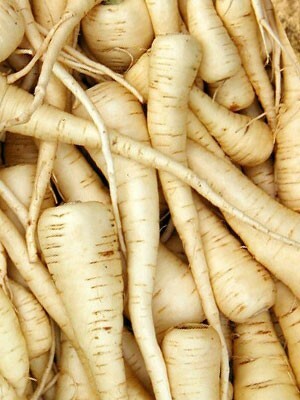 The creamy coloured tubular root makes a great soup but is at its best cut thinly, and roasted in coating of honey and wholegrain mustard. The resulting chips being a crisp, sticky and flavourful addition to a roast dinner.